Finding the right shoes to wear with arthritis of the foot can be difficult. At the Orthotic Shop we carry a wide selection of orthopedic and comfortable shoes that can really help people with foot arthritis. 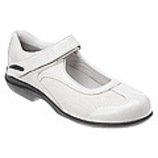 Below are some great examples of shoes that can help alleviate arthritis pain. This article will present what arthritis is, symptoms of arthritis and footwear that can be worn to help. Arthritis is not one disease, but over 100 known diseases that affect the bones, muscles and joints. The term does not designate a specific disease, but means inflammation of a joint resulting from any cause. It is one of the most ancient diseases known to man. Whether inherited or from trauma, old age or injury, the disease can be degenerative, inflammatory, disfiguring and painful. Arthritis comes in many forms: Rheumatoid, Osteoarthritis, and Gout are just a few. Rheumatoid is one of the most common forms of arthritis, yet the causes are unknown. It attacks females three times more frequently than males. The synovial fluid which encapsulates the joint becomes inflamed causing scar tissue. Pain, swelling, and deformity ensue (particularly obvious in the hands and feet), which creates limited movement and mobility. Osteoarthritis is called the “wear and tear” arthritis. It is a progressive degenerative disease. Women are affected more than men, and most women experience difficulties after menopause. The degenerative process involves a steady thinning of the joint cartilage. The degenerative process goes unnoticed until the bones begin to rub together. Extreme pain and stiffness results. Because there are more bones and joints in the foot than any other part of the body, the foot has 26 bones and 29 joints, shoes play an important and therapeutic part in maintaining an active life and comfort level for the arthritic person. 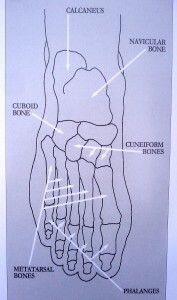 The arthritic foot is hyper-sensitive. Painful swollen joints and disfigured toes need extra room and soft leathers. Disintegrated fatty pads need extra cushioning and shock absorption. Often cushioned – diabetic orthotics are prescribed by a physician to position the foot to create less stress and alleviate pain. If arthritis is present in the fingers and hands, a shoe with Velcro-like closures and a wide opening can ease the pain of putting on and taking off footwear. Drew Shoes is one brand that provides excellent options. Check your feet often. They are critical to your ability to remain mobile. 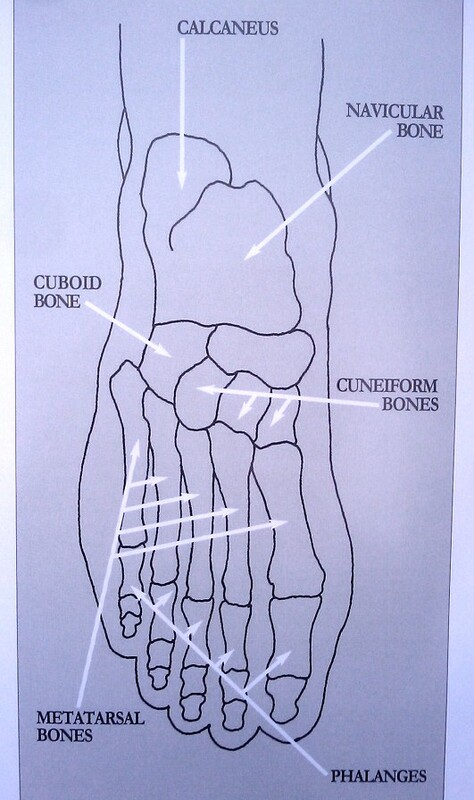 With Arthritis, the position of the bones in your feet can change. You may have to change or modify your footwear often. You should be fitted by a professional and should be comfortable at the time of purchase. Do not depend on them to stretch out with wear. If you are fitted by a professional, buy shoes from them, you can always order additional footwear online! If you have unusual pain in your feet for longer than one or two hours after you have been walking, you have probably overdone it. Sit down and rest your feet. Lose excess weight so that your feet won’t have to carry it. If you notice your ankle turns in when you walk, you may need to wear a corrective insert or orthotic. Consult your footcare specialist. If you have a hard time fastening shoes, non-tie straps are available on many styles. This entry was posted by Matt Behnke on May 2, 2010 at 6:12 pm, and is filed under Information about Orthotics. Follow any responses to this post through RSS 2.0. Both comments and pings are currently closed.